Were there any more conspicously Japanese names for a not-so-culturally-rooted car industry? Barely any Japanese cars have had Japanese names. ok then, I guess all the things I suggest are gonna get critizized because I do something people don't like. I won't do anymore. But I do have quite a few reservations. Criticism doesn't equal hate, most of what was said were suggestions to make your idea more 'realistic' or 'lore-friendly'. Ibishu is obviously a kei car loving & producing brand. In 2016, The Ibishu M-two needed a new design, a new look. They came up with a simple yet modern design that was sure to make a big hit. When it rolled out in early '16, it instantly became a hit in Japan. Who the hell would put a transmission with less than 5 speeds in a modern car? Especially connected to an I6 with 110cc cylinders? Money in Japan works like money in any other country. You receive it, mostly in exchange for labor, and exchange it for a variety of goods. It's backed by the government, but not by gold. 10 speeds for a drag car are overkill,,especially in a sport where a gearshift too much will lose you a lot of time. And who would couple a V16 to a 3-speed in a drift car? ...2000s compact Japanese SUV. Mostly based on the 2nd gen Honda CR-V, though with 2nd gen Toyota RAV4 front end and some Mazda Tribute cues. Unibody, front transverse engine FWD/AWD, front MacPherson, rear multilink suspension, all-wheel disc brakes. Base - Equipped with a 132 HP 1.8/150 HP 2.0 petrol/155 HP 2.2 turbodiesel I4, 5-spd manual/4-spd automatic (column shifter for automatic), open diff, FWD/AWD, standard suspension, 15x7 steelies with 205/70 R15 tires, no radio, no A/C, a fabric spare tire cover and black bumpers. DX - As above, but with an optional 168 HP 2.2 petrol/170 HP 2.2 turbodiesel I4, body color bumpers and roof rails, a radio, A/C and alloy wheels. LX - As above, but with a sunroof, a floor shifter for automatics, a plastic spare tire cover and different alloys. Limited - As above, but with no 2.0 engine, 16x7 alloys with 215/65 R16 tires, dual sunroof and a GPS. Sport - As above, but with 17x8 alloys with 225/60 R17 tires, a mesh grille, a hood scoop and a rear spoiler. Beater - Based on the 2.2 diesel automatic 4x4 LX, but with a rusty, dented body (including some holes), worn suspension, steering and tires, smoky engine and slipping transmission. Street Custom - Based on the 2.2 petrol manual 4x4 Sport, but with 196 HP, lowered suspension, 19x8 black alloys with 235/45 R19 tires, murdered-out trim, a roof box, JDM culture stickers and a sport steering wheel. Offroad Custom - Based on the 2.2 petrol manual 4x4 LX, but with 196 HP, a lift kit, 15x8 alloys with 31x8.60 R15 offroad tires, a bullbar, a snorkel and extra front lights. Police - Based on the 4x4 Base, but with the 170 HP engine, a 2000s British police paintjob and equipment. Fire Service - As above, but with a fire service paintjob and equipment. 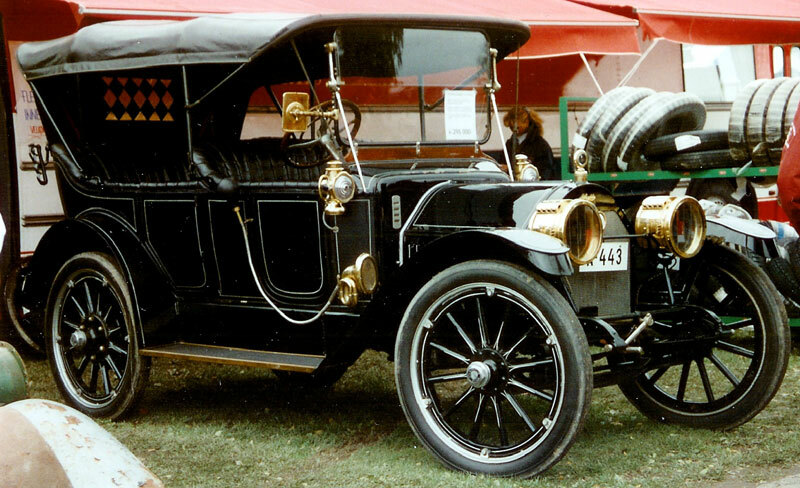 Hello, i have an suggestion for a car from 1912, the Mclaughlin model 41 Touring 1912. It will of course only be based on the Canadian car because of rules saying you cannot use real cars. I have no idea if you are able to make the car look exactly the same with a different name, or if everything have to look different, but i hope any solution work, as long the car stays in a 1912 setting. Reason for such an old car: I have always been a HUGE fan of old cars, and i mean HUGE! But being a fan and crying for a car doesn't work here so i will jump right into the reason. The car is old and slow, but because of how light, weak and tiny it is will it become a funny vehicle to see crashing into stuff (or being smashed by other vehicles). Such cars will be funny to see chasing you down while running away, or you chasing them with their slow speeds, a destruction derby would be funny as well. Why this car would be good: Having this car will open more ideas for old classic cars, it would be completely different from the already known race cars, BeamNG will become more inclusive when it comes to cars from different time periods. ...1990's-2000's compact American Pickup-Truck. Mostly based on the 2nd gen Chevrolet S10 with the 2nd gen Ford Ranger front end on pre-facelift models and 3rd gen Ford Ranger front end on facelift models and some Dodge Dakota cues. Body on Frame, front longitudinal engine FWD/RWD/4WD/AWD, front Independent suspension, rear solid axle leaf suspension, all-wheel disc brakes, and an optional airbag on 1993 and 1994 models, which then became standard for 1995-2004. It even received a minor facelift in 2001, thus giving it a 3rd gen first facelift ford ranger front end. I4 FWD - Equipped with a 2.2 liter I4, a 5 speed manual, steel wheels without center caps, an open front differential, a front driveshaft, no rear differential, and no rear driveshaft, this model is only for the regular cab. I4 RWD - As above, but with no front differential, no front driveshaft, an open rear differential, and a rear driveshaft this model is only for the regular cab. V6 FWD - Same as I4 FWD, but with a 4.3 liter V6, steel wheels with center caps, chrome bumpers, and a chrome grill this model is for all cabs. V6 RWD - Same as I4 RWD, but with a 4.3 liter V6, steel wheels with center caps, chrome bumpers, and a chrome grill, this model is for all cabs. V6 4WD - As above, but with open differentials and a driveshaft in the front and rear, alloy wheels, trim on the body, a 4WD transfer case, higher ground clearance, and a 4-Speed Automatic, this model is for all cabs. V6 4WD Chief Rancher, same as above, but with a Two-Tone paint job, and body colored bumpers, and limited slip differentials, this model is for all cabs. V6 AWD Sport - Same as the V6 RWD, But with a black grill, body colored bumpers, a bed cover, and a supercharger, this model is only for the regular cab. Beater - Same as the I4 models, but with a rusty, dented body (including faded paint), worn suspension, steering and tires, an overheated engine, a slipping transmission, and faded brakes. Custom - Same as V6 AWD Sport, but with rear wheel drive, a welded differential, custom wheels, and a racing steering wheel, even a V8 Swap. Off-Road - Same as V6 AWD, but with off-road bumpers, a black grille, custom wheels with off-road tires, an off-road roll bar, a roof rack with lights, a racing steering wheel, a supercharger, a bug shield, and more ground clearance. Pig - As above, but with bigger off-road tires, a 2.2 liter I4, a Crawler 4WD transfer case, a normal front bumper with a bull bar, no rear bumper, no mirrors, and a flatbed. Border Patrol - Same as V6 4WD Chief Rancher, But with a camper shell, a bull bar, steel wheels with off-road tires, a police light bar, and a border patrol livery. ...1990's-2000's compact American Pickup-Truck. Mostly based on the 2nd gen Chevrolet S10 with the 2nd gen Ford Ranger front end on pre-facelift models and 3rd gen Ford Ranger front end on facelift models and some Dodge Dakota cues. Body on Frame, front longitudinal engine FWD/RWD/4WD/AWD, front Independent suspension, rear solid axle leaf suspension, all-wheel disc brakes, and an optional airbag on 1993 and 1994 models, which then became standard for 1995-2004. Custom - Same as V6 AWD Sport, but with rear wheel drive, a welded differential, custom wheels, and a racing steering wheel. Why would there be an FWD and an AWD option? Why not have a V8 swap in the custom ones? Why does a milspec car have tuner accessories and a gasoline engine? The S10 in real life had FWD and there was a truck by GMC called the Syclone and it was an S10, and it has AWD. That's a great idea, it would be stupid, but it would work. This is because the D-Series Marauder has both in BeamNG.Drive. 1. There was no FWD S10, and the Syclone was a special performance model. 2. Swapping a small-block V8 is one of the most common-sense compact truck mods. 3. The Marauder is a green civilian vehicle. A cheaply made economy car popular with the middle and low class families of the Southern half of America. It may not be fast, good looking, well built, reliable, or better then taking the bus, but at least you can get a brand new Florid for less then 7 grand! Beater: Remember how we said this car was popular with the Southern half of America and low class families? Well we weren't kidding. We found this beaten and rusty Florid in a run down Trailer Park on the southern coast. It has a horribly maintained 1.8L SOHC that makes about 85hp, a 5 speed manual transmission that hates getting in gear, and a broken driver side window from when someone tried to steal it. That thief must've been really dumb if he wanted to steal this hunk of junk. Base: Just your standard Florid, it doesn't have a radio, AC, power windows, power locks, but it does come with a 1.8L SOHC I4 that makes 115hp and a 5 speed manual transmission. EX: Comes with a SOHC 2.0L I4 that makes 132HP, a choice of a 4 speed Automatic or 5 speed Manual transmission, a Radio, and Air Conditioning! LS: Comes with a DOHC 2.0L I4 that makes 150hp, a choice of a 4 speed Automatic or 5 speed Manual transmission, and every option available. It's the most luxurious lemon that you can buy! Custom: Well, someone decided to modify this Florid for some reason. No clue why anyone would dump a few thousand dollars on a 900 dollar car, but we're not here to judge, right? It has a Turbo Charged bored up DOHC 2.0L I4 that makes 250hp, a 5 speed manual transmission, big subwoofers in the trunk, bucket seats, a roll cage, lightning bolt decals, bright neon underneath it, a spoiler, body kit, aftermarket rims, and hydraulics. ...2010s Italian hatchback. 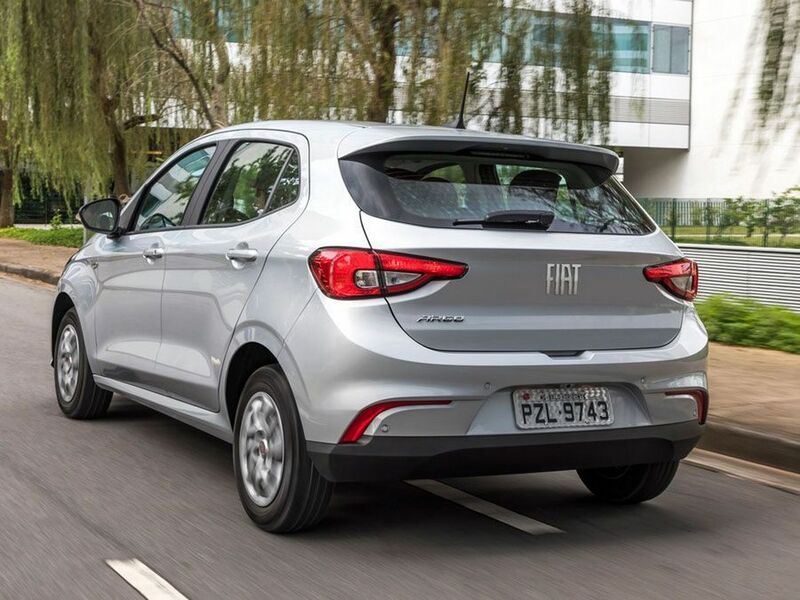 Mostly based on the Fiat Argo, but with strong VW Golf Mk7 inspiration inside and outside. Unibody, front transverse engine FWD, front MacPherson, rear torsion bar suspension. Start - Equipped with a 1.0 turbo 85 HP/100 HP I3/1.3 turbo 120 HP/140 HP petrol/1.8 140 HP petrol/1.3 85 HP/100 HP/1.6 125 HP/2.0 145 HP turbodiesel I4, 6-spd manual/7-spd DCT, an open diff, FWD, standard suspension and brakes with basic pads, 15x7 steelies with hubcaps and 205/60 R15 tires, A/C, mechanical gauges and a radio. 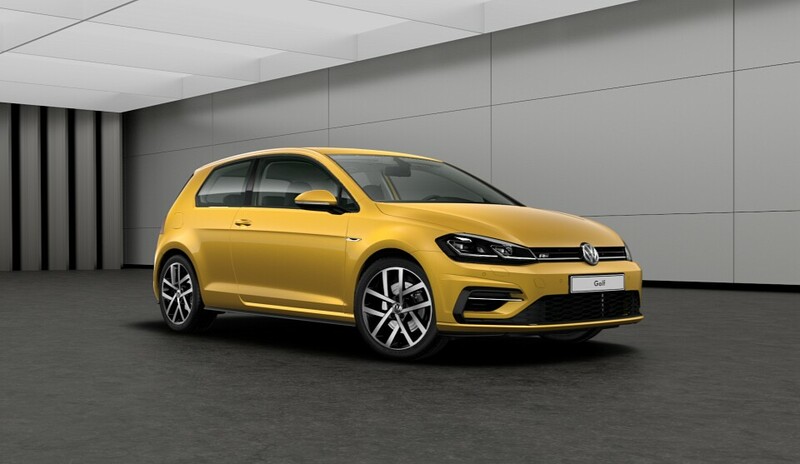 Move - As above, but with an optional 165 HP 1.4 turbo petrol/2.0 turbodiesel I4, alloy wheels and an infotainment system. Comfort - As above, but with no 85 HP options, 16x7 alloys with 215/55 R16 tires, a digital gauges and a glass roof. Sport - As above, but with slightly lowered suspension, added black trim and black 17x7 alloys with 215/50 R17 tires. Elettra - Like the Comfort, but with a 123 HP electric engine, 30 kWh batteries, direct drive, slightly lowered suspension, more aerodynamic front grille and aerodynamic 16x5.5 alloys with 185/60 R16 tires. CS - Like the Sport, but with a 205 HP 1.8 turbo petrol/190 HP 2.0 biturbodiesel I4, an LSD, sport suspension, sport brake pads, 18x8 alloys with 225/45 R18 tires and a rear spoiler. Corse - As above, but with a 240 HP 2.0 petrol turbo I4, a sport LSD, uprated suspension and brakes, 19x8.5 alloys with 245/35 R19 tires and a factory bodykit. Corse Cup - As above, but with race suspension, full race brake pads, race tires, a stripped interior, a rollcage and a racing paintjob. Custom - Based on the manual Corse, but with 325 HP, race coilovers, race brakes with sport pads, 18x9 alloys with 265/40 R18 tires and a carbon bodykit. Rally (Gravel) - Equipped with a 370 HP 2.0 I4, 6-speed sequential manual, AWD, rally LSDs, rally suspension, race brakes with semi-race pads, 17x9 alloys with 265/45 R17 gravel tires, a stripped interior with a rollcage, a rally paintjob and bodykit, extra front lights and mudflaps. May I suggest Viaggiare for this one? And I freaking love it. I'm not suggesting a vehicle, but a modification to an existing vehicle. My idea is an Ibishu Covet with the Rear Wheel steering system of the first generation Ibishu Pessima AWS. They're both light, nimble Ibishus from similar time periods, so why not have a four wheel steering hatchback? That's all I've got to say, so bye. Do you plan to release it?